There are many potential problems with garage doors, but the most common problem is the failure of one of the garage door springs. Torsion springs, which run along a bar above a closed door should never be replaced by a homeowner unless they have had specific training. To solve broken spring problems just give us a call at the number above. 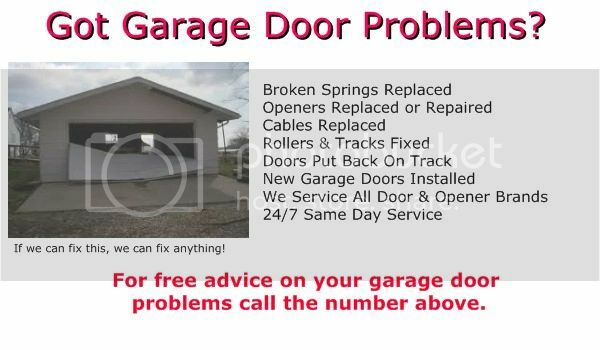 We are always available for free phone consultations and we love helping people fix their garage doors.